Clinically apparent vertebral deformities are associated with reduced survival. The majority of subjects with radiographic vertebral deformity do not, however, come to medical attention. The aim of this study was to determine the association between radiographic vertebral deformity and subsequent mortality. 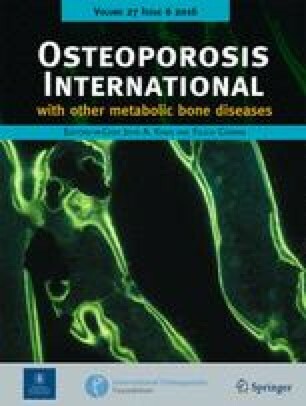 The subjects who took part in the analysis were recruited for participation in a multicentre population-based survey of vertebral osteoporosis in Europe. Men and women aged 50 years and over were invited to attend for an interviewer-administered questionnaire and lateral spinal radiographs. Radiographs were evaluated morphometrically and vertebral deformity defined according to established criteria. 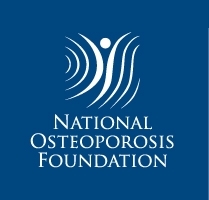 The participants have been followed by annual postal questionnaire – the European Prospective Osteoporosis Study (EPOS). Information concerning the vital status of participants was available from 6480 subjects, aged 50–79 years, from 14 of the participating centres. One hundred and eighty-nine deaths (56 women and 133 men) occurred during a total of 14 380 person-years of follow-up (median 2.3 years). In women, after age adjustment, there was a modest excess mortality in those with, compared with those without, vertebral deformity: rate ratio (RR) = 1.9 (95% confidence interval (CI) 1.0,3.4). In men, the excess risk was smaller and non-significant RR = 1.3 (95% CI 0.9,2.0). After further adjusting for smoking, alcohol consumption, previous hip fracture, general health, body mass index and steroid use, the excess risk was reduced and non-significant in both sexes: women, RR = 1.6 (95% CI 0.9,3.0); men RR = 1.2 (95% CI 0.7,1.8). Radiographic vertebral deformity is associated with a modest excess mortality, particularly in women. Part of this excess can be explained by an association with other adverse health and lifestyle factors linked to mortality.